Let’s begin with Guppy, which is currently facing an important test to determine whether it will continue falling or rise up and maintain its sidewards range. Of course, I’m talking about the upcoming test of support at the 133.00-133.30 region. This level has held very well in the past and could do so again today. One important thing to note about support levels is that stronger they are, the stronger the follow-through move after if they do break. If a candle manages to convincingly close below 131.00, it wouldn’t be far-fetched to expect a strong move towards 128.00. Hmm, is that the bears taking control again? As you can see from the chart, AUDUSD has found some major resistance again at .8850 as price was unable to close above it. With stochastics going out of overbought territory and pointing downwards, it looks like AUDUSD is poised for more losses, possibly towards the rising trend line at .8500. 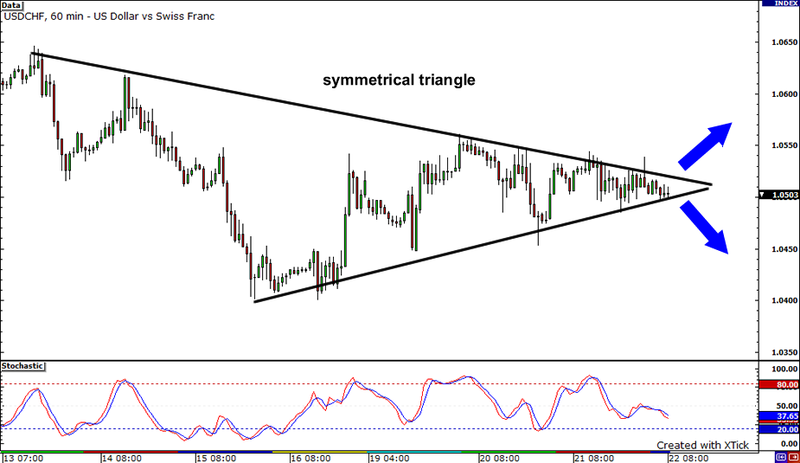 Is that a symmetrical triangle on USDCHF’s 1-hour chart? Why, I think it is! Check out how the pair has been bouncing between the rising trend line connecting the lows and the falling trend line connecting the highs. 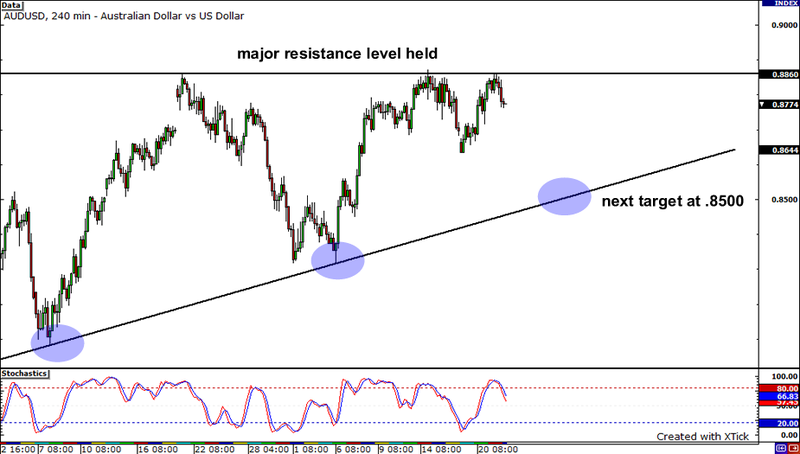 It seems that the consolidation is getting tighter and tighter, which could mean that the pair is due to breakout soon. But which way would it go? If it breaks to the topside, it could rally all the way up to the previous week high of 1.0677. 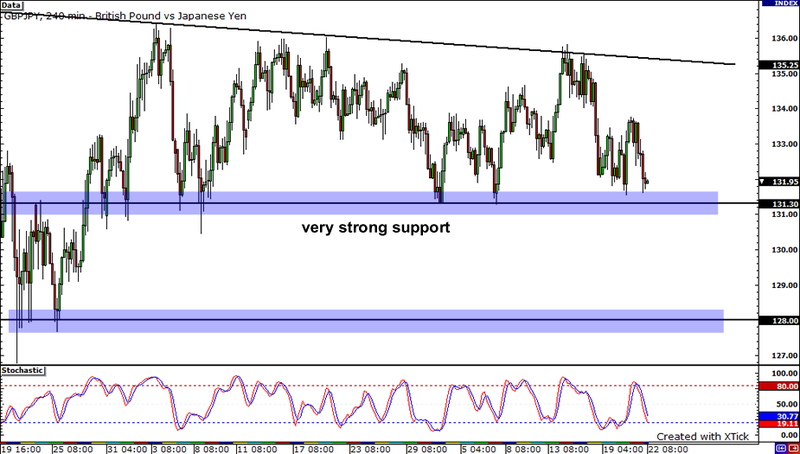 If it breaks to the downside, it could find support near the 1.0400 mark.